Apple continues its mobile dominance with another impressive number from last quarter. Yesterday, we reported that the company is in third place in terms of worldwide mobile phone sales. Today, Asymco analyst Horace Dediu reported that Apple accounted for 39% of all mobile phone revenues, and 75% of all profits worldwide. 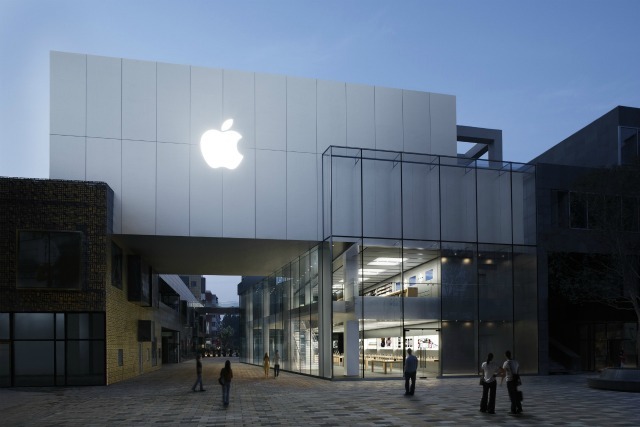 Out of the top eight manufacturers, only five were showing meaningful profits, according to Phillip Elmer-DeWitt from Apple 2.0 (CNN). Samsung has about a 16% profit share, while Nokia, Research in Motion, and HTC are just scraping by. Motorola, LG and Sony, which bought out Ericsson last month, are still in the red. After taking in all of this info, you must keep in mind that this research is based off of all phones sold around the world, not just smartphones, which is all that Apple sells. 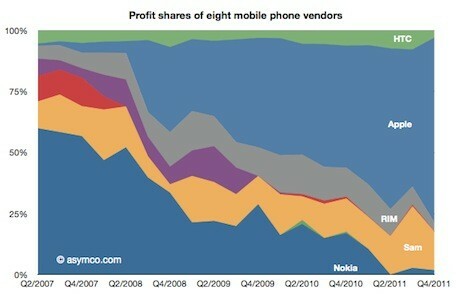 Apple is clearly a juggernaut in the mobile phone market and it is just crushing the other companies out there.